Our reputation, our global maritime know-how and our strategy allow us to be a major player in the field of marine renewable energy. Our Group is also committed to participate actively in the construction of the French and global offshore wind industry. LOUIS DREYFUS ARMATEURS has been offering support and assistance to marine renewable energy operators for more than a decade. Today, we provide our customers with two flexible and multi-purpose offshore wind farm maintenance vessels. The experience and reliability of ships and crews, recognized industrial know-how and adaptability and historical partnerships with major international groups. 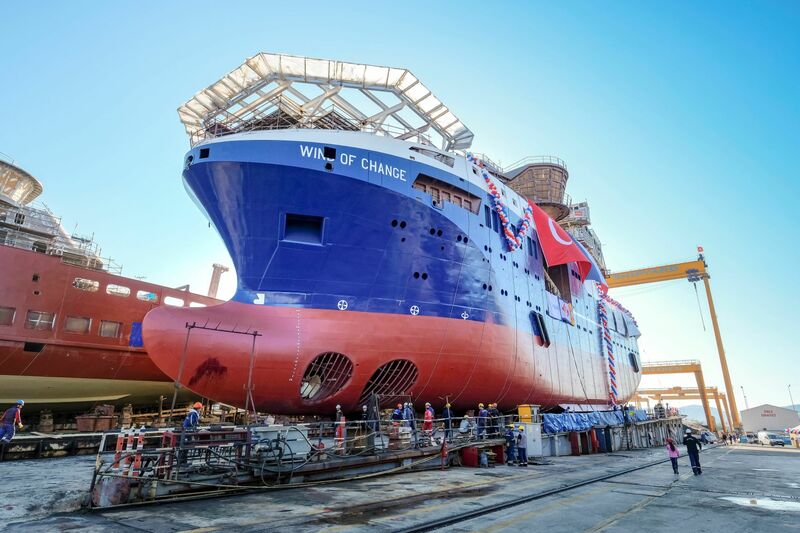 2017 – Partnership with the Danish group Ørsted for a 1st maintenance vessel “WIND OF CHANGE”. Operations on 4 wind farms off Germany (Borkum Riffgrund 1 & 2, Gode Wind 1 & 2). Design by Salt Ship Design and construction by the shipyards CEMRE (Turkey). Delivery in 2019. Mission: Maintenance of wind turbines by maintenance teams. 2018 – Renewed Partnership with Ørsted for a second maintenance ship “WIND OF HOPE”. Operations on wind farms off England (Hornsea Project 2). Design by Salt Ship Design and construction by the shipyards CEMRE (Turkey). Delivery in 2021. Mission: Maintenance of wind turbines by maintenance teams. Our subsidiary LOUIS DREYFUS TRAVOCEAN specializes in submarine operations and works on offshore wind farms in France and mainly in Northern Europe. Strong reputation and international know-how, our subsidiary is a major player in the European offshore wind industry for more than 10 years. 2021 / Projet EDF – Supply and installation of the 33kV three-pole submarine cable system of the French offshore windfarm at Saint-Nazaire (France).